2. Do they have worker’s compensation? A roofing company that’s been in business less than five years is probably still learning the trade, and getting legs under their feet. 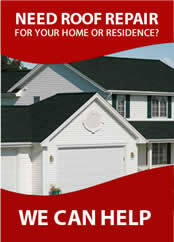 Hiring a roofing company like this is a bit of a gamble because their learning on your roofing project. Chances are they’re unsure about something and will have to work right through it, have the potential of something not being completely right is greater. There are plenty of very experienced a roofing companies out there, and it’s best to check them out and go with one that you know will do the job perfect the first time. What good is a warranty if the company is not there to back it? Like the builders board, the Better Business Bureau also keeps tabs on how the company is treating the public at large. The records go back for three years, and you can gain a great deal of insight as to how the customers are being treated by a roofing company. This is a pretty good register, however less and less people are using the Better Business Bureau these days. Since fewer people are using the Better Business Bureau, the information regarding complaints is less accurate, and should be used as only one of the reliable means of checking out a company. A simple search online with the search engine can return vast amounts of information regarding how the company is dealing with its customers. By typing in something like Roofing Company reviews, you can get a great idea of how many people are saying things about a company and what they’re saying. Keep in mind, however, that for every one person that posts a positive remark, nine people post in negative remark. But you can get a real good idea about how the company has handled the situation, and what you can expect in the event that you should run into a snag on your job. While this may seem like the most reliable means of getting a recommendation, putting complete trust in a roofing company just because they did a roofing job in your neighborhood, it’s the complete trust part that usually ends up being the problem. It’s human nature to go with what the other people have done because it looks like it turned out OK. However, only by checking out the items listed below can get you a real picture of how the company is operating. The job that your neighbor had done might like look good right now, but has it rained yet? Has there been any problems? Yard signs can be lost leader. By comparison, most roofing shingles look about the same. Some are different styles, different shapes, different colors. But only by using an authorized applicator can you get the manufacturer’s warranty. Comparing one roofing company to another, just because the paperwork states that there is a warranty, does not mean that that applicator is actually authorized to issue the workmanship warranty associated with that roofing shingle, or roofing type. This is the entire top of your house and we’re talking about, and in the event that there’s some sort of issues like the shingle is falling apart or there’s a leak, you don’t want to find out 10 years down the road that the installer you hired was never an authorized applicator, and that the manufacturer won’t stand behind their warranty due to this fact. Naturally, when comparing roofing estimates, one of the concerns is going to be price. And while all the roofing companies want your business, only one of them is going to get it. To lower the price, and better attract your business, a roofing company estimate may change some of the parts around to make it a little less expensive. Neoprene pipe collars, plastic vents, woven valleys, etc. are all parts of a roof that will last a while, but if you’re buying a lifetime warranty roof, what is a sense of having a party is going to wear out and five or 10 years? How much is it going to cost to replace it then? 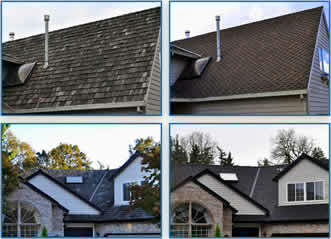 Before signing a contract, verified your getting all the components necessary to make your roof last a lifetime. Every business in every field has competition, and some of those competitors while trying to get more business, can stray outside of the lines. Of course, there’s always a normal competitive spirit, but some competitors will be stooping to new lows by posting their own testimonials online. Attempting to fool potential customers and the online search engines, to some, will write bogus testimonials about their experiences or work. When you’re looking for roofing companies, check out how many testimonials there are written about a company. Getting one or two testimonials a year is hard to do, because it’s hard to ask someone for a testimonial, let alone to get them to actually do it. But if a company has 65 glowing testimonials and no bad ones, you should consider that perhaps there’s more at play than what meets the eye. Maybe the company is paying someone to write articles, or they’re doing it themselves. And while the testimonials may be a real, and you should use your own judgment, and ask the company to call some of those testimonials listed. Then you’ll have your answer. As mentioned earlier, we are talking about tearing off the entire top of your house or building. This is no small task, and should not be taken lightly. The potential for an issue to occur on top of your roof where it is exposed to the weather is absolute. The slightest pinhole or mistake can mean tens of thousands of dollars in cleanup down the road. The weather will be constantly knocking on your roof, wind trying to rip it off, ice is trying to climb its way through, bugs, birds, raccoons, and squirrels trying to enter your house to get out of the weather, and mold trying to set up shop in your attic. Your roof is exposed to the weather 100% of the time. When interviewing your roofers, pay attention to how they are entering your questions in regard to details. If you’re not getting emphasis on quality, perhaps the roofing company doesn’t care about quality as much as you do.